tellMe enables agents to provide their customers with a simple but effective tool to quickly review flight schedules and availability. Customers can send emails containing their preferences and base profile information to their designated agency to request prices, whether it's a single or multi-option quote. 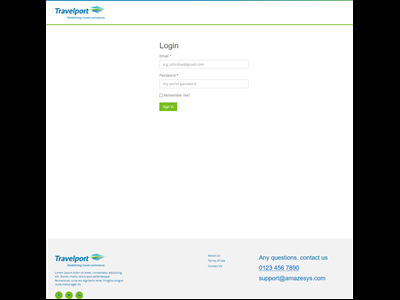 Your customers may not always want to use their corporate booking tool to check flight schedules, request pricing for specific flights or they might need a little bit more help with complex itineraries. 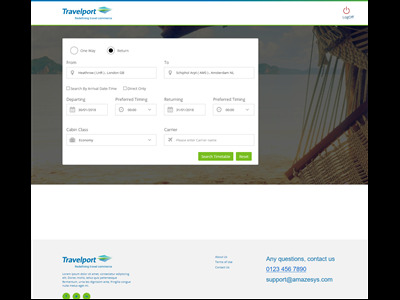 This simple and easy to use tool provides your customers, travel bookers and/or personal assistants with the freedom to quickly search schedules and request pricing options based on their preferences. tellMe helps to reduce the time you spend on the phone with your customers researching flight options, provides a quick alternative to travellers to review schedules easily and improves communication. Make it personal, expand your brand awareness or brand the site in your customer's corporate colours. Why spend hours on the phone discussing various options when tellMe can do the leg work for you? 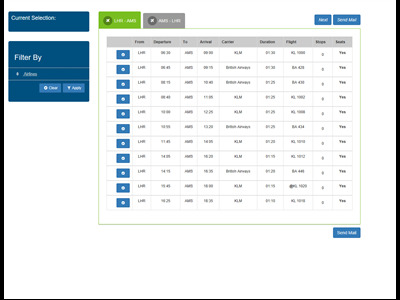 Travellers can search flight availability and times. Travellers can request pricing for single or multi-option itineraries. Communicate quickly and effectively, no more copy and paste or spending hours on the phone. Provide your customers with their own branded sites.